Brenda’s life changed forever when she entered The X factor in 2005. She was the last woman standing in the semi finals and left the audience and judges spellbound week after week, this journey took her on a 27 date X Factor UK arena tour. The ultimate acceptance by the public came when Brenda was presented with the Screen Nation Award in 2007 for Favourite Reality TV Star, which was a peoples choice award. In 2006,Brenda was snapped up to play Mama Morton in Chicago- the musical in the West End, she received such great acclaim for her portrayal of the prison warden that she was asked back to play the role again after appearing in the 10th anniversary gala performance. 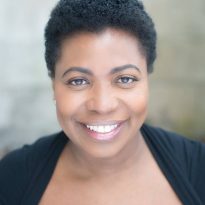 In 2007, Brenda created the role of Pearl Pastor in Carmen Jones at the Royal Festival Hall, performing with both the London and Royal Philharmonic orchestras. Brenda has made special guest appearances at the Brixton Academy, Cardiff Millennium Stadium at BBC radio 2 with the BBC Concert Orchestra, she has also had the honour of supporting Smokey Robinson and Alexander O’Neil at Rochester Castle, with her 11 piece band. Other highlights include sold out concerts at Ronnie Scotts, London’s Pigalle Club, and at the Barbican with Brenda Edwards Gospel Christmas for Raymond Gubbay. Brenda has made several television appearances including; Loose Women, The Weakest Link, The Wright Stuff, ITV1 Sing if you can, and she was a regular correspondent on GMTV talking about all things X Factor. In 2010 she performed in Galt MacDermot’s Human Comedy for the Young Vic. Brenda originated the role of Killer Queen on the first national tour of We Will Rock You in 2009 and then went on to play the role in the West End in May 2010 up until the point where the show closed May 31st 2014 after 12 years. During this time she also made her tv acting debut playing the role of Mrs Johnson in Ben Elton’s BBC1 sitcom series The Wright Way.